EXO United Fan Projects is dedicated to doing good around the world in the name of EXO, a South Korean-Chinese boy group. Earlier this year, EXO Fanbases united together to form a donation project to help victims of the Sichuan Earthquake, donating to Save the Children Foundation in the name of EXO. We are now branching out after the first success in order to do more charity work in the name of EXO. As EXO fans, we must adhere to their phrase “We Are One’ and unite as ONE & make the world a better place for all. 04/08/14 Karina Maldonado Ortega $115.00 "Donation by EXO Planet Mexico's Fan Club <3"
03/14/14 Mathieu Addison $115.00 To be a Man is to accept suffering, and to consider pain as an ally. Be strong and kind, there are people out there willing to see you smile. From an Exo Fan, to You. 03/14/14 Hanh Doan $10.00 I'm happy that we, the ones who love EXO, have a chance to contribute to the development of society. I hope this project (and others) as well as EXO and fans will grow stronger in the future. 03/10/14 Mel Sitler $23.00 I hope all of the children and adults have safe water. I hope for the best and they will be in my prayers. They all are very strong and beautiful! 03/10/14 Claudine Dal $10.00 We are One! We are EXO! 03/07/14 NiNi Lim $50.00 I'm really glad for this project by Exo Fans Worldwide, EXO & Africa Fighting!!! 03/06/14 Maddy MacDougall $5.00 EXO~ ì¬ëíì! May we continue to make the the World a better place with this Wonderful Campaign! 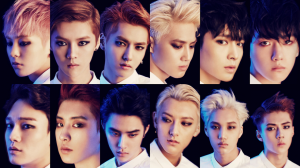 03/03/14 Alla Krivonogova $23.00 EXO fighting!! i'm proud to be your fan. let's continue make our own history and make this world a little bit happier every day! 02/27/14 Deie Gui $23.00 I hope this helps! We ARE ONE! Exo fighting! 02/24/14 Amber T. $10.00 I hope this helps even if just a little! Fighting! 12/27/13 Sandra Malig $50.00 I hope this helps! Africa & EXO Fighting!! 12/13/13 Sut Htoi $12.00 We are one! Forever supporting these 12 boys! Fighting! 10/29/13 Deirdre Ngo $23.00 May everyone have a chance to drink clean water; we are one! 10/27/13 Nancy Bertot $10.00 This is such a great cause! Let's all unite to help bring people the clean water they need. EXO Fighting! 10/27/13 Kristen Fournier $15.00 Super happy to see EXO fans gathering for such a great cause!! 10/26/13 Alexis Jeong $23.00 EXO Happy 2nd Year Anniversary :D We Are One! 10/26/13 Karmina Francisco $10.00 We are ONE! EXO Fighting! !